So what's in Tuguegarao that we decided it would be the place for our first travel in 2015? Two words: Palaui Island. Well, Palaui isn't actually located in Tuguegarao but in Sta. Ana; the only airport in Cagayan Valley is in Tuguegarao. Palaui Island was used twice as the filming location for Survivor: Blood vs. Water and Survivor: Cagayan. Yes, we did go to those specific spots used in the reality show. Anyhoo, we've managed to sample their local delicacy, the batil patung, eat at a Korean restaurant (though not included in this post) and check out a nice coffee shop near the airport before we left. 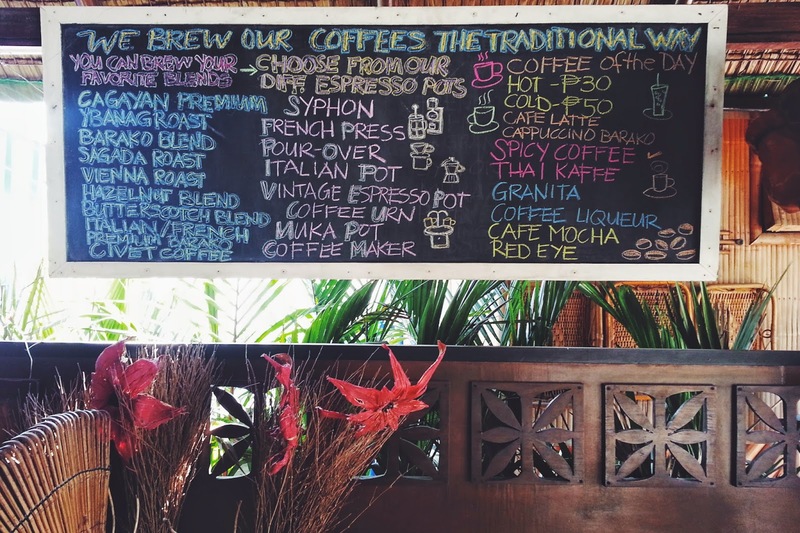 You might want to go to these places when you're in Tuguegarao. Prior to the trip, I searched online for delicacies to try in Tuguegarao. I learned that their specialty dish is called batil patung, and there would be no problem sampling one because almost every street corner has a panciteria. As soon as we arrived in Tuguegarao and got ourselves a tricycle that would take us to the van terminal going to Sta. 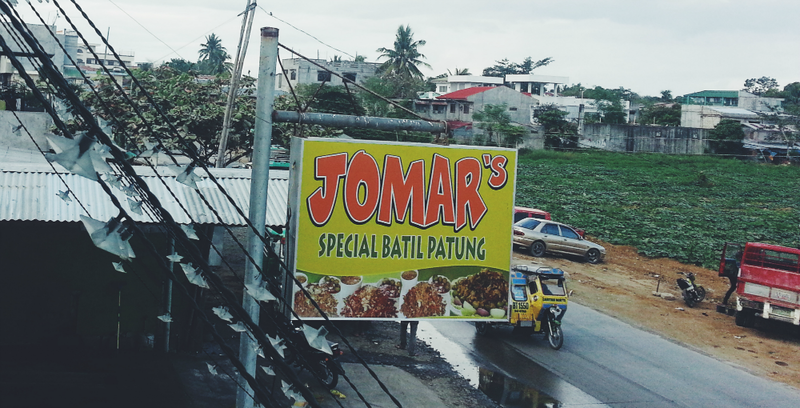 Ana, we first asked our driver where's the best place that serves batil patung and he immediately said Jomar's. You could order it in 3 ways: Regular, Large or Special. We never really found out (and we didn't bother inquire) what's the difference between the three, and just said "Special!" as soon as we were asked. Hahaha. 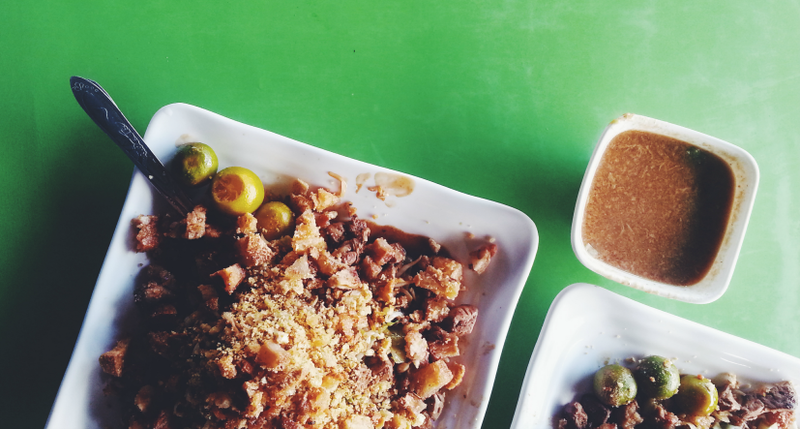 We opted for the Special (PhP 80) because we wanted to have a taste of the best. Okay so here's something to keep in mind when in this region: when they say it's good for one person, it's usually big enough for 2 to 3 people, and when they say it's good for 2 to 3, it can probably feed a family of 5. Yes, the food servings here are huge! Trivia time! So why was it named as such? If translated directly, batil means 'mix or beat the egg' and patung means 'place on top or topping.' It is made of miki pancit (round egg noodles), minced and sauteed carabao meat, red onions, bean sprouts, pork liver, carrots, chicharon and of course, egg that's placed on top, cooked by the heat of the noodles, which makes it quite runny. It is also best eaten with the egg drop soup, which, when we asked, was called batil. You can pour it on the pancit or sip it separately. You can also add more soy sauce or fish sauce or even pepper according to your liking. To be honest, we were really overwhelmed by the big serving. If you're not a big fan of pancit, best to just share an order with someone because it will take you a long time to finish it. I enjoyed it (because chicharon LOL) and I thought the batil was really good. Charm is giddy for her morning caffeine fix. On the plane going to Tuguegarao, I read this article on Cebu Pacific's inflight magazine, Smile, that Barako Boy is a place worth getting your daily dose of coffee kick. 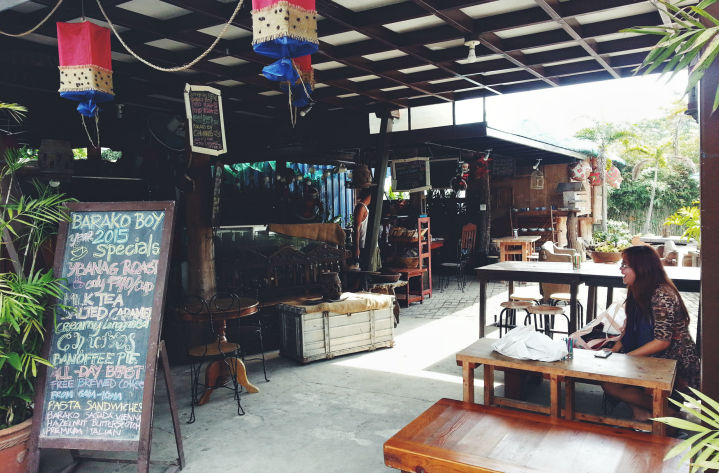 So prior to our flight back to Manila, we decided this would be our last stop to have brunch. Good thing it's located next to a gasoline station within the vicinity of the airport. 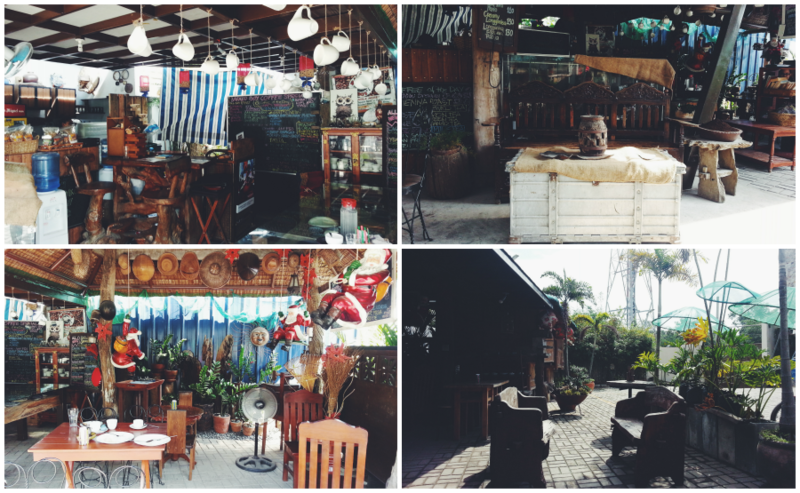 I loved the rustic, al fresco ambiance of the place, with all the wooden pieces, some mismatched but definitely worked together. There were some very unique accents like the hats all lined up in one corner of the ceiling and there were also cups that draped one part of the cafe. Very artsy! Ian had the pesto pasta and French-pressed Italian coffee. Charm had the cold hazelnut blend and creamy longganisa pasta, and I had the cold butterscotch blend coffee and the creamy longganisa pasta as well as recommended by the food attendants. I'm not really a big coffee drinker that's why I have no clue as to how the coffee should taste, but I found the creamy longganisa pasta delectable. It's an interesting twist to the usual white sauce pasta dishes like carbonara. I really, really liked it! 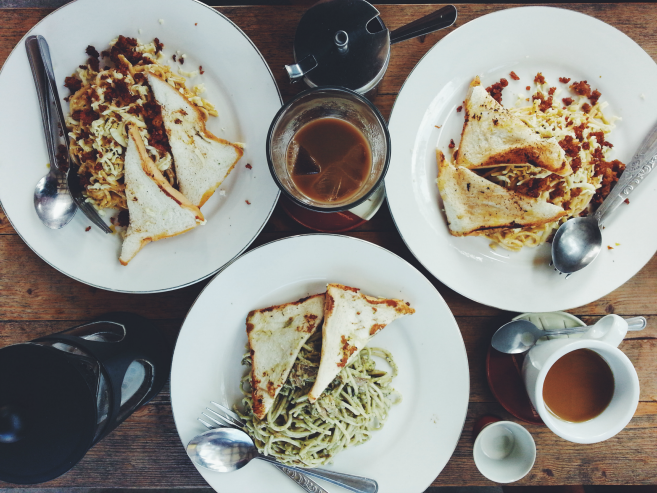 I don't know if there are any other places with food worth visiting here but when in Tuguegarao, be sure to check these food spots out!